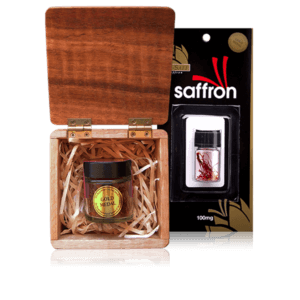 2000mg jar of saffron tea for general health and wellbeing. With the growing evidence that saffron is indeed good for you, and after 25 years in the saffron industry we are very aware that powdered saffron available throughout the world is likely to be adulterated or contaminated. This is why we decided to manufacture our own saffron tea here in Australia. The saffron in our tea is a fine premium Category 1 grade of Spanish saffron whole stigmas. 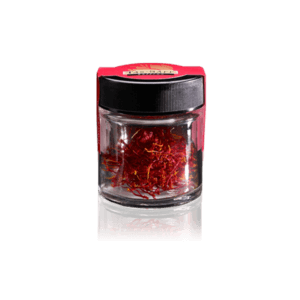 This saffron is grown in Spain under a fully recorded and documented HACCP accreditation food safety standard and is traceable to the farm gate in Spain. 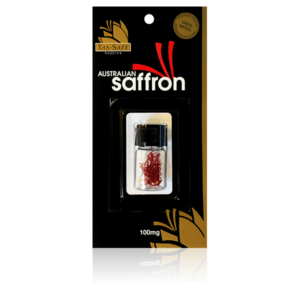 This saffron has been quality tested here in Australia by the University of Tasmania. 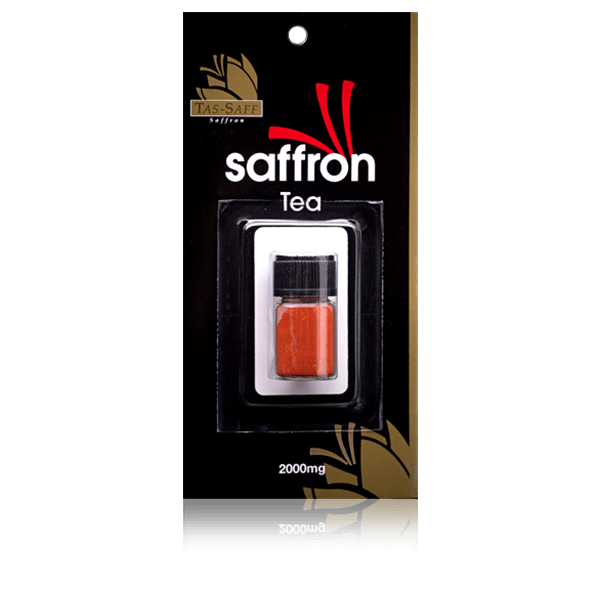 We then had an Australian GMP laboratory process the saffron into a tea, nothing but pure saffron, our guarantee. The tea has been packed on our premises under SQF 2000 food-safety accreditation. You have our assurance that you are now able to have that 20mg of saffron as a measured daily supplement or simply enjoy a (caffeine-free) tea. Especially good for those trying to give up caffeine. Instructions for use are included on the back of the packet along with a 20mg measuring scoop. The 2000mgs of saffron tea will provide 100 x 20mg serves in every pack. If you are taking saffron for general wellbeing it is recommended to take a 20mg supplement per day for a minimum period of 16 weeks to see whether you experience any improvement. If you do have an improvement in general wellbeing then you need to continue with the daily saffron supplement or any improvement will rapidly regress.